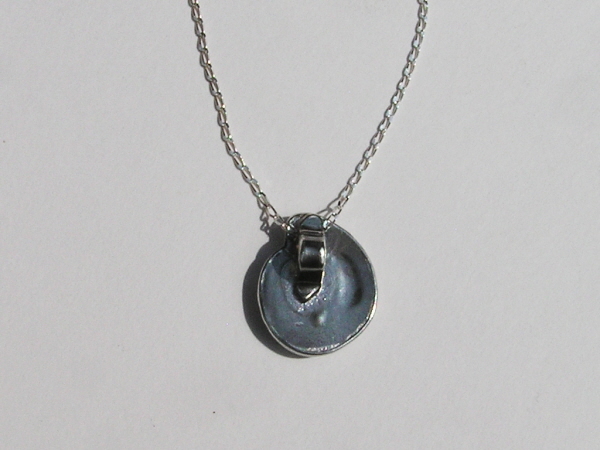 This is a simple but very elegant little piece of jewellery. I made it by taking a cast from a real fossil ammonite from the UK. 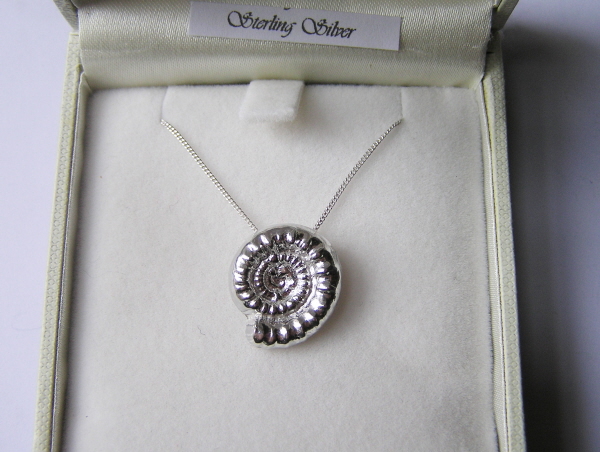 This was then used to make a lovely little solid silver Ammonite pendant that is strung from an 18 inch Sterling Silver Curb chain. Boxed and labelled,in a high quality jewellery box and complete with a signed certificate of authenticity - it would make a lovely gift for any lady.